We wanted to highlight artwork done by some very creative and perceptive 4th graders. 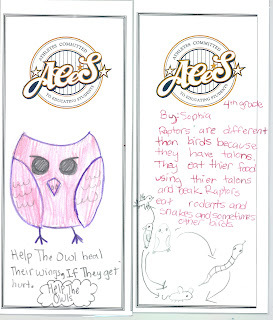 Our long-time partnership with ACES (Athletes Committed to Educating Students) has allowed us to reach 4th graders in the Minneapolis metro area. 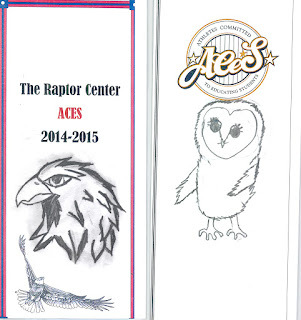 The Raptor Center visits at after-school programs, and we explore the students’ ongoing interest with owls. 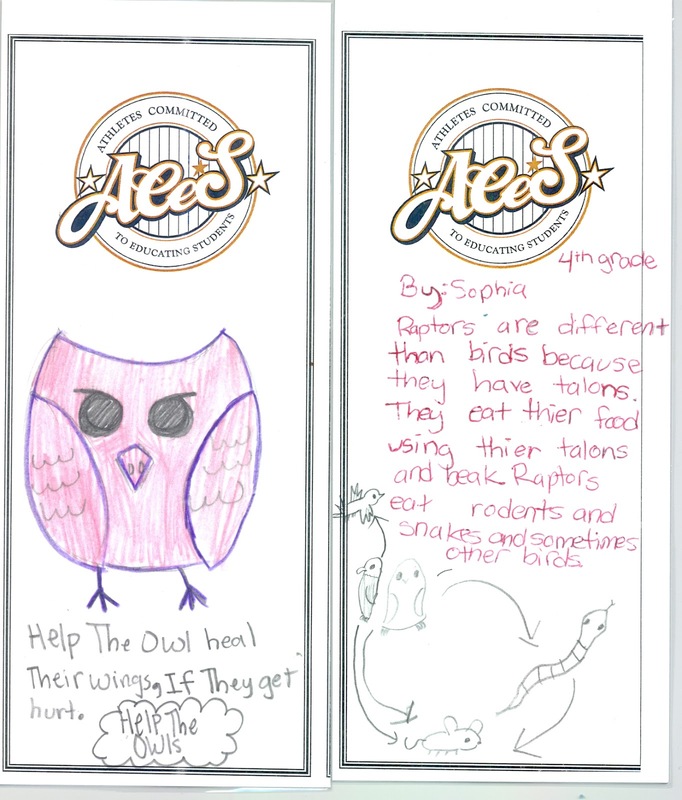 The Raptor Center’s winged ambassador owls obviously did a great job of helping teach concepts such as food webs, and how raptors are an important part of the environment we share. 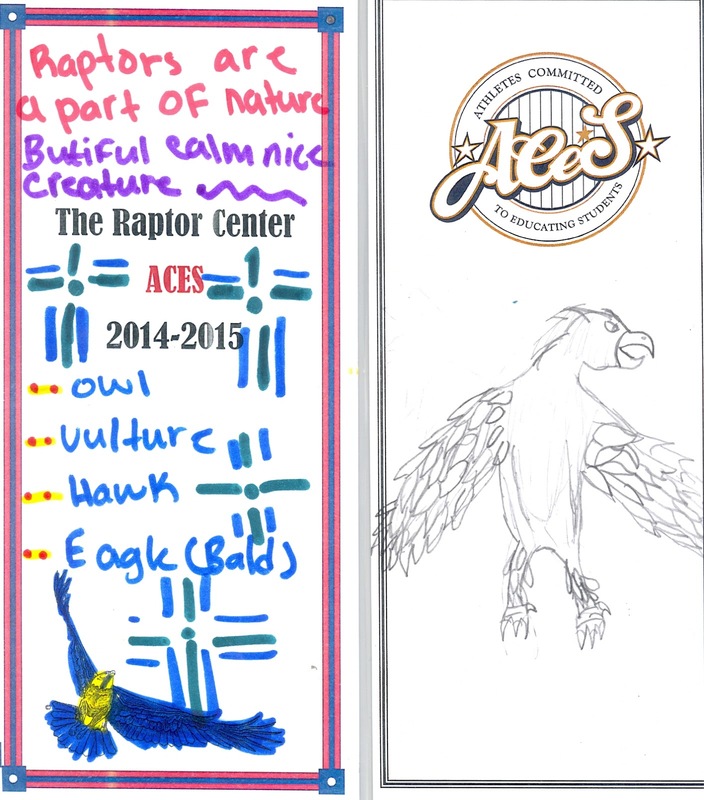 We were also impressed as always with the level of appreciation and creativity these students shared with us in the form of bookmarks they created. 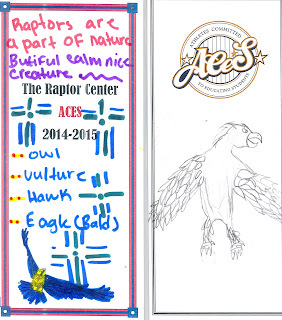 These bookmarks will be given out at other programs, to highlight how young people perceive raptors.